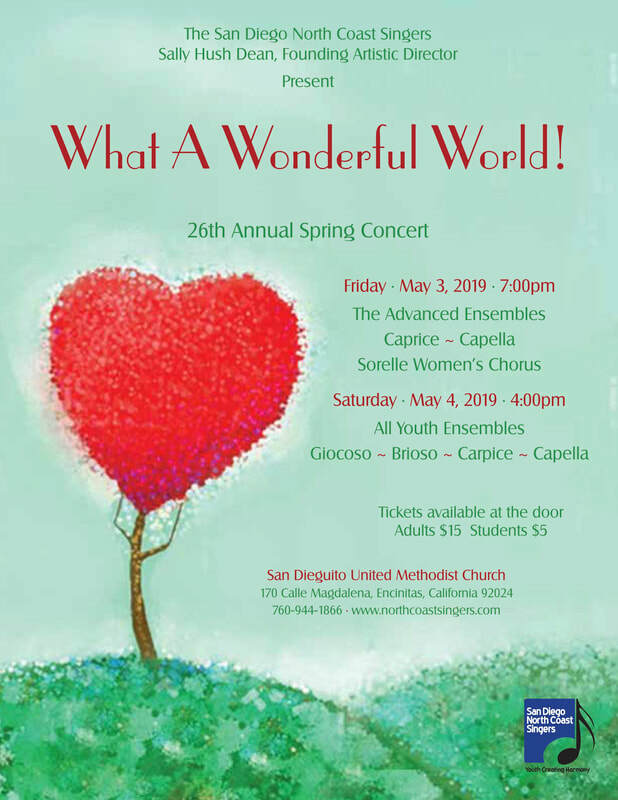 San Diego North Coast Singers is recognized throughout Southern California for its exceptional artistic quality and the joyous and spirited performance of songs from diverse cultures. The non-profit youth chorus program was founded in 1993. It has grown to five ensembles; four youth choirs serving children ​and teens in grades two through twelve and Sorelle, a select women’s chamber chorus. The next opportunity to join will be in May and June for our fall 2019 session starting in September. Placement auditions will begin scheduling in April. ​cultural institutions that we will ever have in this community"